With Knorr Crab and Corn Real Chinese Soup and our favourite all time snacks like fish ball, squid ball and chicken ball, this soup is truly a winner. Here's a dish that's highly recommended. It's the combination of mussels and gata, found in Knorr Comlete Recipe Mix Ginataang Gulay. Simple and easy and oh so yummy! Dive into this rich, creamy and fragrant Singaporean inspired dish "Salted Egg Prawns". Prawns are deep fried and coated with a sauce combination of butter, salted egg, curry leaves and Knorr Shrimp Cube. Altogether, they make a wonderful symphony of flavors that is to die for! Are you tired of the usual meatless diet food? 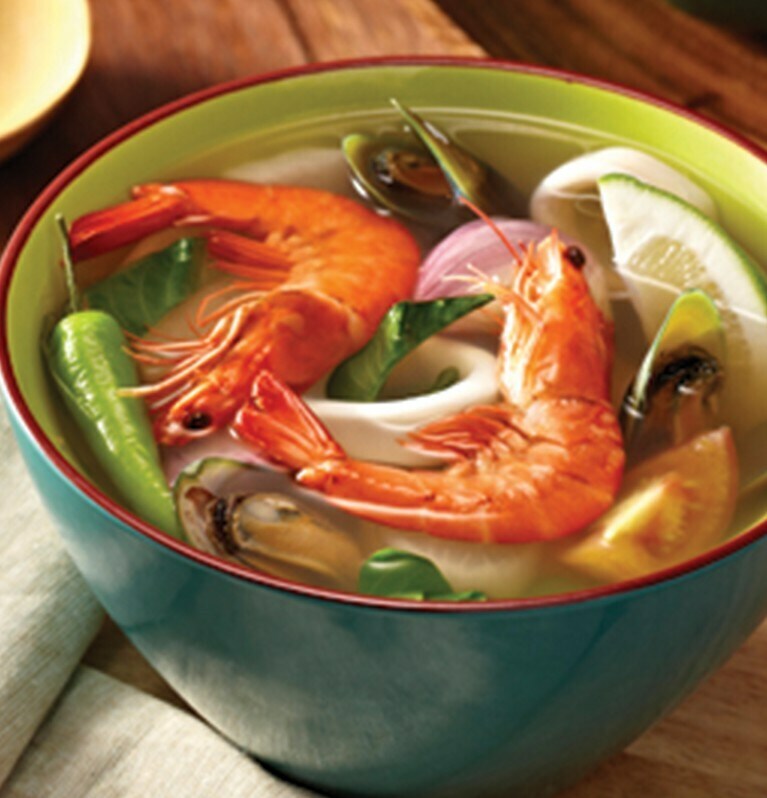 Try Seafood Vegetable soup made more flavourful with Knorr Shrimp Cubes. Chicken again? Mag-try ng bagong recipes. Kids will always love chicken! Kaya here are chicken recipes na siguradong papatok sa pamilya.